What should you do to prepare for your appointment? Call First for Appointment? Call or Schedule here. Drop-off Service Available? Yes, strongly encouraged. If you use your home for business—home size, office size, home expenses, office expenses. Other miscellaneous income—jury duty, gambling winnings, Medical Savings Account (MSA), scholarships, etc. Estimated tax payment made during the year, prior year refund applied to current year, and any amount paid with an extension to file. The Tax Cuts and Jobs Act’s tax-bracket changes went into effect for the 2018 tax year. There are no structural changes for 2019. Seven tax brackets exist, and then seven marginal tax rates — From 10% to 37%. These are also unchanged. As you review the brackets, the income ranges for each rate have been adjusted for inflation. 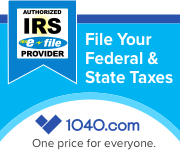 The standard deduction for single filers will increase by $200 and by $400 for married couples filing jointly (Table 4). The Alternative Minimum Tax (AMT) was created in the 1960s to prevent high-income taxpayers from avoiding the individual income tax. This parallel tax income system requires high-income taxpayers to calculate their tax bill twice: once under the ordinary income tax system and again under the AMT. The taxpayer then needs to pay the higher of the two. The AMT uses an alternative definition of taxable income called Alternative Minimum Taxable Income (AMTI). To prevent low- and middle-income taxpayers from being subject to the AMT, taxpayers are allowed to exempt a significant amount of their income from AMTI. However, this exemption phases out for high-income taxpayers. The AMT is levied at two rates: 26 percent and 28 percent. The AMT exemption amount for 2019 is $71,700 for singles and $111,700 for married couples filing jointly (Table 3). In 2019, the 28 percent AMT rate applies to excess AMTI of $194,800 for all taxpayers ($97,400 for married couples filing joint returns). AMT exemptions phase out at 25 cents per dollar earned once taxpayer AMTI hits a certain threshold. In 2019, the exemption will start phasing out at $510,300 in AMTI for single filers and $1,020,600 for married taxpayers filing jointly (Table 4). The maximum Earned Income Tax Credit in 2019 for single and joint filers is $529, if the filer has no children (Table 5). The maximum credit is $3,526 for one child, $5,828 for two children, and $6,557 for three or more children. All these are relatively small increases from 2018. The Tax Cuts and Jobs Act includes a 20 percent deduction for pass-through businesses against up to $160,700 of qualified business income for unmarried taxpayers and $321,400 for married taxpayers (Table 7). In 2018, the income limits for all tax brackets and all filers will be adjusted for inflation and will be as follows (Tables 1 and 2). The top marginal income tax rate of 37 percent will hit taxpayers with taxable income of $500,000 and higher for single filers and $600,000 and higher for married couples filing jointly. The standard deduction for single filers will increase by $5,500 and by $11,000 for married couples filing jointly (Table 4). The personal exemption for 2018 is eliminated. The Alternative Minimum Tax (AMT) was created in the 1960s to prevent high-income taxpayers from avoiding the individual income tax. This parallel tax income system requires high-income taxpayers to calculate their tax bill twice: once under the ordinary income tax system and again under the AMT. The taxpayer then needs to pay the higher of the two. The AMT uses an alternative definition of taxable income called Alternative Minimum Taxable Income (AMTI). To prevent low- and middle-income taxpayers from being subject to the AMT, taxpayers are allowed to exempt a significant amount of their income from AMTI. However, this exemption phases out for high-income taxpayers. The AMT is levied at two rates: 26 percent and 28 percent. The AMT exemption amount for 2018 is $70,300 for singles and $109,400 for married couples filing jointly (Table 7). The maximum Earned Income Tax Credit in 2018 for single and joint filers is $520, if the filer has no children (Table 9). The credit is $3,468 for one child, $5,728 for two children, and $6,444 for three or more children. All of these are relatively small increases from 2017. Federal law requires you to maintain copies of your tax returns and supporting documents for three years. This is called the “three-year law” and leads many people to believe they’re safe provided they retain their documents for this period of time. Even if the original records are provided only on paper, they can be scanned and converted to a digital format. Once the documents are in electronic form, taxpayers can download them to a backup storage device, such as an external hard drive, or burn them onto a CD or DVD (don’t forget to label it). Create a Backup Set of Records and Store Them Electronically. Keeping a backup set of records — including, for example, bank statements, tax returns, insurance policies, etc. — is easier than ever now that many financial institutions provide statements and documents electronically, and much financial information is available on the Internet. You might also consider online backup, which is the only way to ensure that data is fully protected. With online backup, files are stored in another region of the country, so that if a hurricane or other natural disaster occurs, documents remain safe. Caution: Identity theft is a serious threat in today’s world, and it is important to take every precaution to avoid it. After it is no longer necessary to retain your tax records, financial statements, or any other documents with your personal information, you should dispose of these records by shredding them and not disposing of them by merely throwing them away in the trash. However, if the IRS believes you have significantly underreported your income (by 25 percent or more), or believes there may be indication of fraud, it may go back six years in an audit. To be safe, use the following guidelines. Business Records To Keep Forever While federal guidelines do not require you to keep tax records “forever,” in many cases there will be other reasons you’ll want to retain these documents indefinitely.